It was lovely to have some members of NISCU in school to work with our year 6's. The session was based on transition and having confidence. They also told the children about their club 'Club Q' which runs at lunchtime at Cockermouth School. 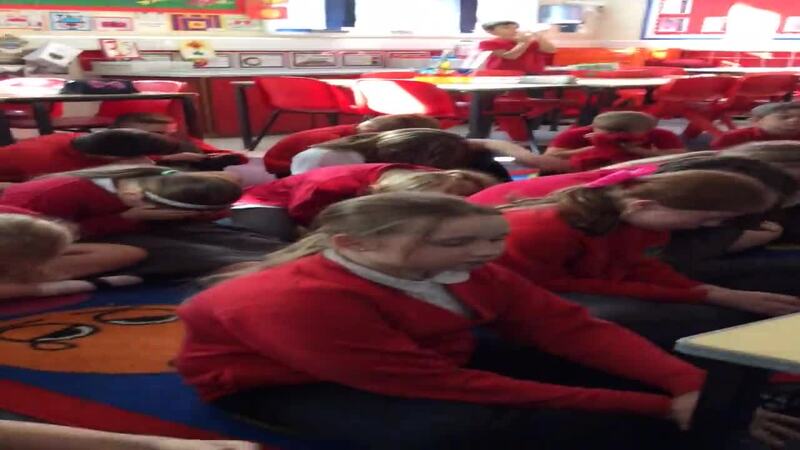 Class 6 have really enjoyed learning about Hinduism, with a special focus on Hindu Gods and Goddesses. During the week we have looked at Hindu art including Mendhi patterns, which are worn by Hindu ladies when they are getting married. We created pieces of role-play based on the story of Ganesh and performed them for each other. We also made masks of Ganesh, Shiva and Parvarti to use for our performances. We really enjoyed our Hindu workshops where we got to dress up and look at lots of Hindu artefacts. We had a fun afternoon making a special cracker bread called Matzot bread in preparation for our Passover meal and assembly. It was quite messy but very simple to make. We made our own Elijah cups to use for our mock Seder meal. We worked hard to add lots of detail and colour to make them stand out from the other cups that will be set out on the table to represent the four freedoms. Class 6 were very interested to talk to Dr Rahman, who was visiting our school to describe what it is like to be a Muslim. We learnt lots of new things and asked super questions. Thank you Dr Rahman! Classes 5 and 6 went to Keswick Theatre to watch the movie 'Inside Out'. We we followed the visit up with some drama workshops based on emotions such as confidence, fear, anxiety and anger. The children worked in groups made up of children from all year groups. It was fantastic to see them working so well as a team. As part of the drama workshop, they had to write a play-script it and perform them for the other children.